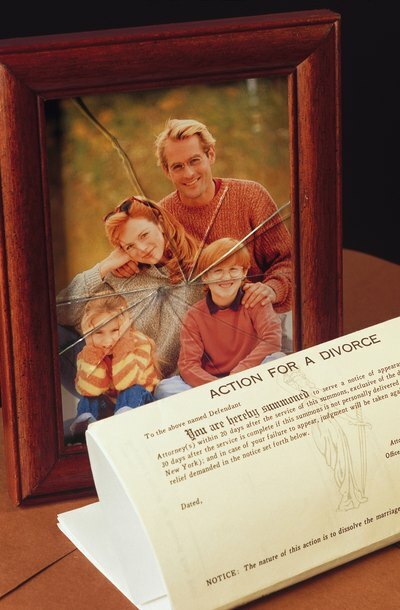 File your divorce complaint with the court registry, or clerk's office, of the Probate and Family Court. The complaint form can be obtained from the court or online document providers. You may file your complaint in the county where either you or your spouse currently live. If your spouse still lives in the county where you both last lived together, you must file the complaint in that county. Get the summons from the court clerk. You will receive a divorce summons, track assignment notice and a copy of the complaint after you file the original complaint with the court registry. If you file the complaint by mailing it, the documents will be mailed to you. If you personally deliver the complaint, the documents may be given to you immediately. Ask your spouse to accept service of the summons. If your spouse is cooperative, you can avoid the fees associated with having the summons and other documents served. There is a place on the summons where your spouse signs to acknowledge receipt of the summons and complaint. This must be signed by your spouse in front of a notary public. If your spouse refuses to accept the documents, the papers must be served. Give the summons and other documents to a sheriff or constable to serve on your spouse. Massachusetts law allows you to use any disinterested person to serve the summons, but the court recommends using the sheriff or constable. After the documents are served on your spouse, the original summons and an affidavit confirming service will be returned to you. File the original summons and the affidavit of service with the registry. This filing shows you complied with the legal requirement that your spouse be served within 90 days from the date you filed the complaint. MassLegalHelp: How Do I File for Divorce? A divorce decree serves to officially dissolve a marriage and determine the terms of the divorce, including alimony, property division, child custody and support. How long it takes to get a decree in Oklahoma depends on the circumstances of your case and whether you and your spouse can agree to the terms of the divorce. Once the decree is in place, if circumstances change, you may ask the court to modify its terms.